Tuesday to Sunday from 11.00 a.m. to 5.00 p.m. The museum has easy access for the disabled. There are two wheelchairs; please telephone and we will reserve one for you! See FAQ at the bottom of the page. 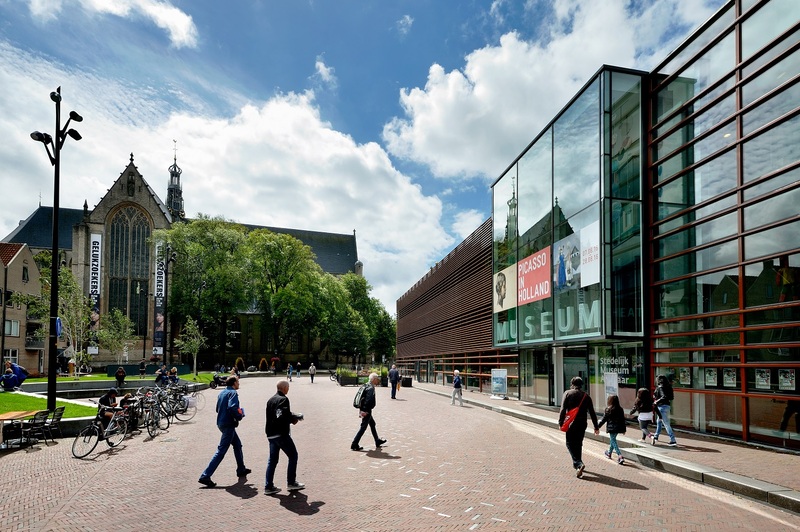 Stedelijk Museum Alkmaar is a great place to share your enjoyment of art, culture and history. As well as the permanent displays, the museum stages temporary exhibitions several times a year with a diverse programme of events and activities. Stedelijk Museum Alkmaar is an ideal venue for families with children and a great place to spend an afternoon. Looking together is much more fun. 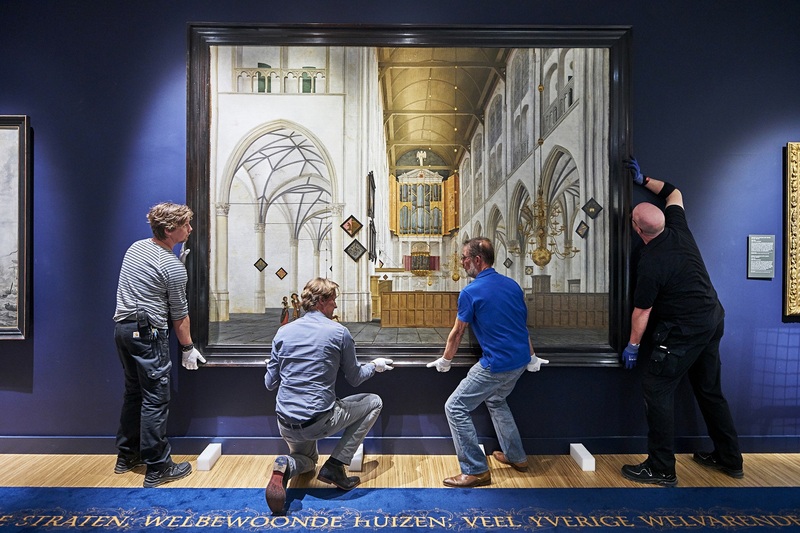 Be overwhelmed by the finest works by Old Masters like Jacob Cornelisz van Oostsanen, Maarten van Heemskerck, Pieter Jansz Saenredam and Caesar van Everdingen. The paintings are set off by an exceptional collection of furniture, fine silver and seventeenth-century glassware. In this captivating portrait of the city through the ages you will discover famous residents of Alkmaar past and present. Visit the permanent Bergen School exhibition with artists like Charley Toorop, Leo Gestel, Arnout Colnot, and Piet and Matthieu Wiegman. The interactive historical exhibition about the Siege of Alkmaar will fascinate the whole family. Live the siege from day to day. Caesar van Everdingen is the Rembrandt of Alkmaar: our greatest seventeenth-century painter. Stedelijk Museum Alkmaar is home to many of his works. They hang proudly on the walls of our galleries – save for one. 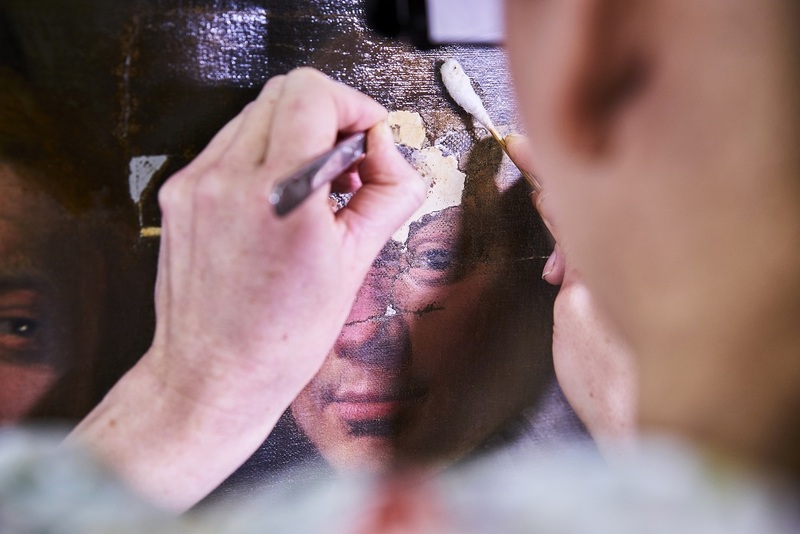 Van Everdingen’s earliest civic guard painting, made in 1641, is currently undergoing a thorough restoration. Part of the process is being carried out in the museum, in public view, every Wednesday, Thursday and Friday. Stedelijk Museum Alkmaar commissioned the internationally renowned artist herman de vries, who was born and raised in Alkmaar, to make a unique work that literally brings him back to his birthplace. This summer Stedelijk Museum Alkmaar presents the first exhibition of works by Pieter van Schaeyenborgh (active 1635-57). 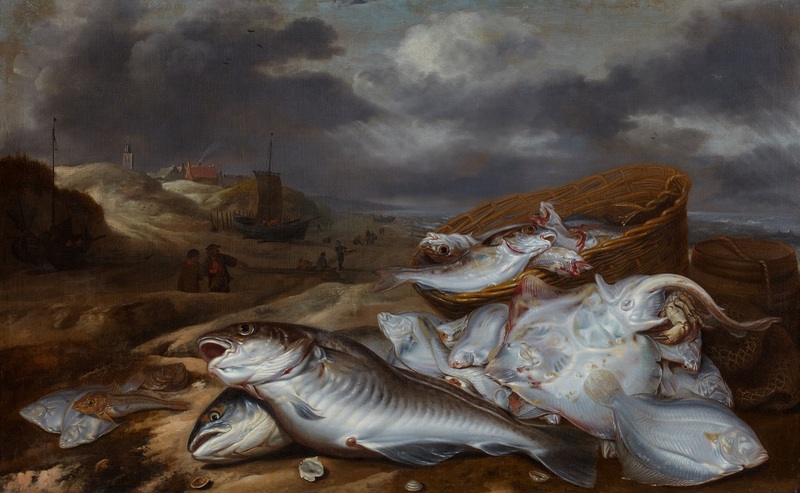 This seventeenth-century artist, almost unknown until recently, was one of the most skilled Dutch painters of fish still lifes, and the only painter active in Alkmaar who specialized in still lifes. In the autumn of 2019 Stedelijk Museum Alkmaar will showcase the life and work of Charley Toorop, who spent a large part of her career working in Bergen. Daughter of a famous and influential artist and mother of a gifted painter, she was the key figure in the Toorop dynasty, largely from her base in Bergen. 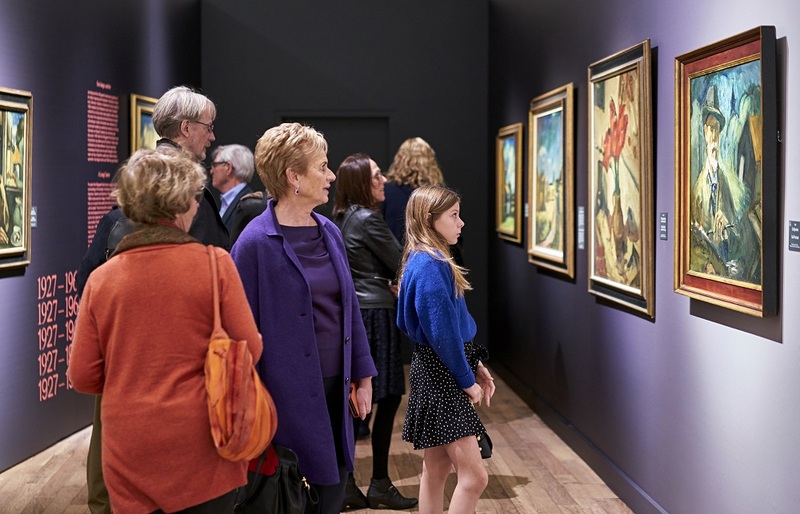 The Toorop Dynasty will introduce visitors to the artistic similarities in the work of Jan Toorop, Charley Toorop and Edgar Fernhout, and examine the relationships between them. Alkmaar is an attractive city of culture with a rich history. It has several museums and splendid monuments including the Grote or Sint Laurenskerk. The many original boutiques in the ‘old town’ make Alkmaar a true shoppers’ paradise. After a day visiting museums and shopping, you can enjoy the friendly cafés and restaurants. And of course you don’t want to miss the famous cheese market between April and September! Travelling by private transport? Follow the parking route (P) through the city. There are several parking areas in and around the city. Directly next to our museum there is a parking garage De Vest, address: Paternosterstraat 18, 1811 KG in Alkmaar. Or APCOA Parking, address: Bagijnenstraat 13, 1811 KA in Alkmaar (website). Plan your trip with Google Maps. The museum is within walking distance of Alkmaar Central Station (approx. 10 minutes). You can also take the bus from the station. What are you looking for? Start typing. Results will show as you type.